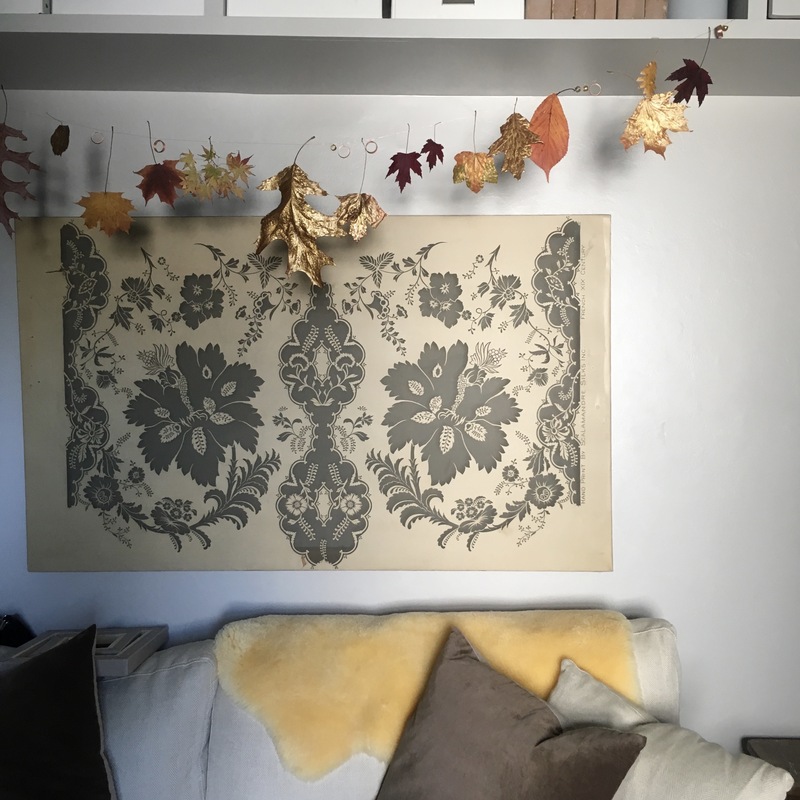 Last year we went into Autumn leaf collection overdrive, so I needed to find some clever ways to embrace the collection (mountain!) 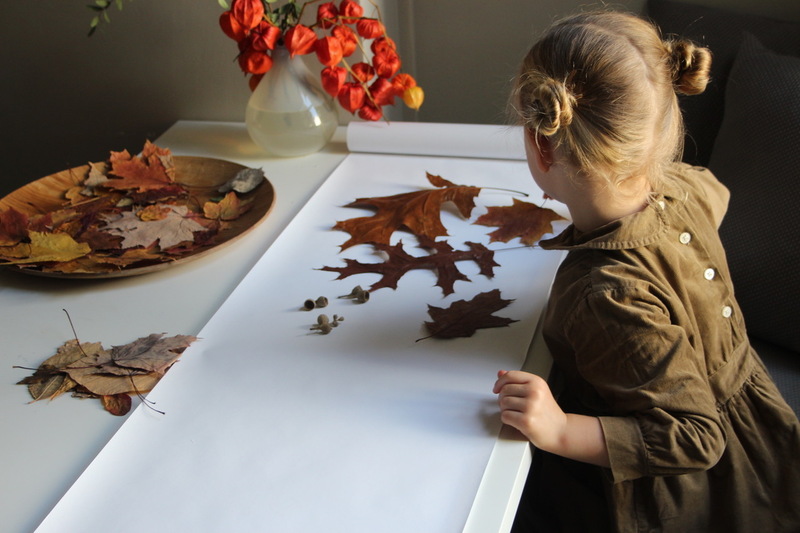 of leaves and create something artful from them. 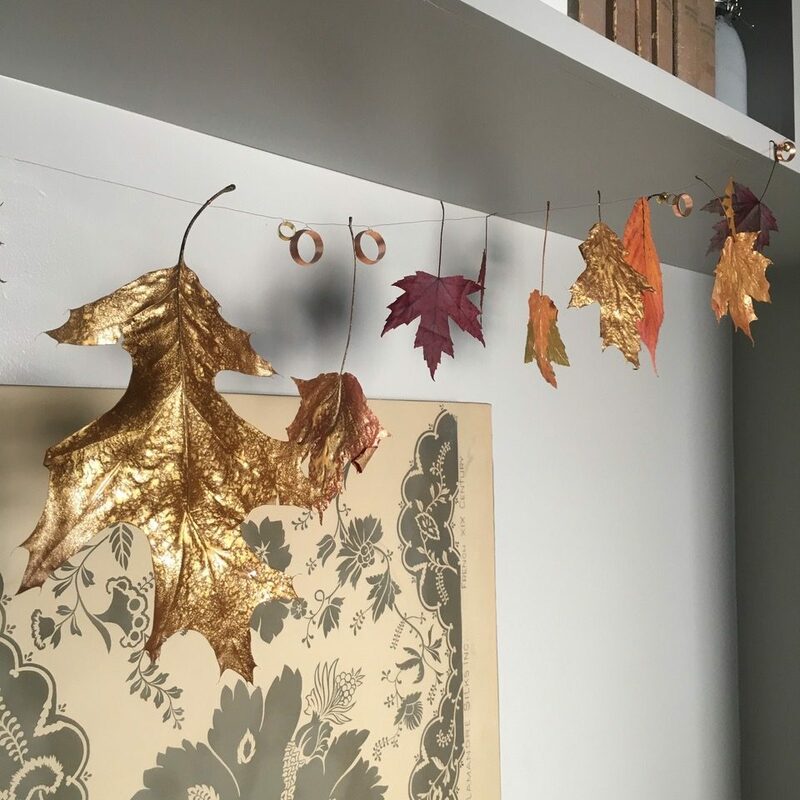 So today I will share our Autumnal gilded garland with you, which was done in stages and was really a very relaxed craft, especially since we invented it along the way. And actually, it just so happened we made two crafts from it in the end — a garland and a wrapping paper too! Two for one crafting. Score! 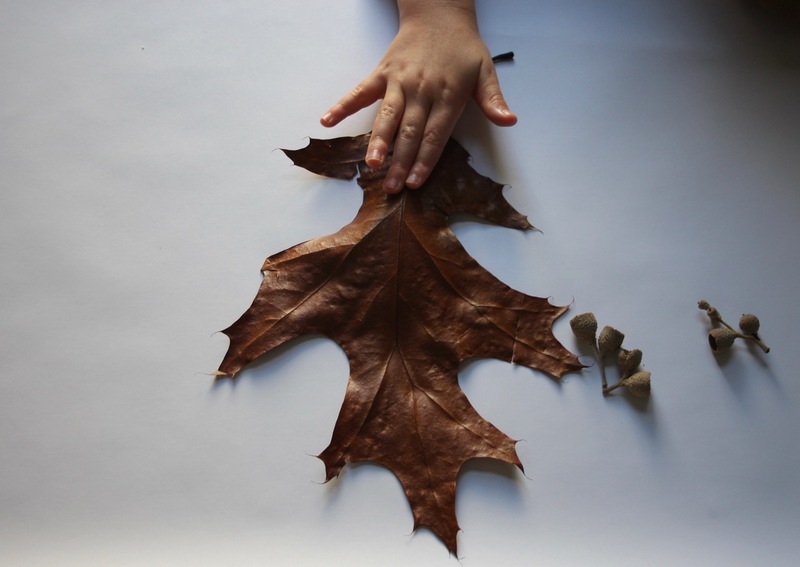 Collect the leaves, (we used very big and very small to have fun with scale, and as many different types for interest). 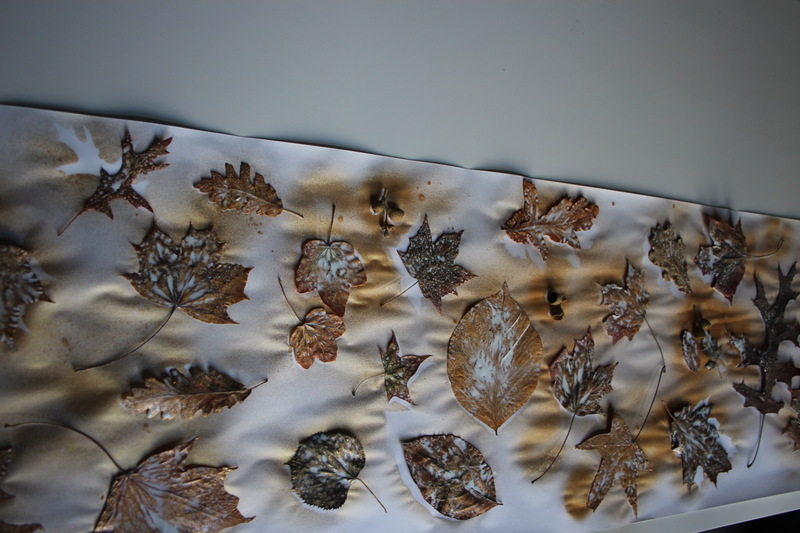 Then we pressed them flat, (in-between heavy book pages), and let them dry for a few days or a week! 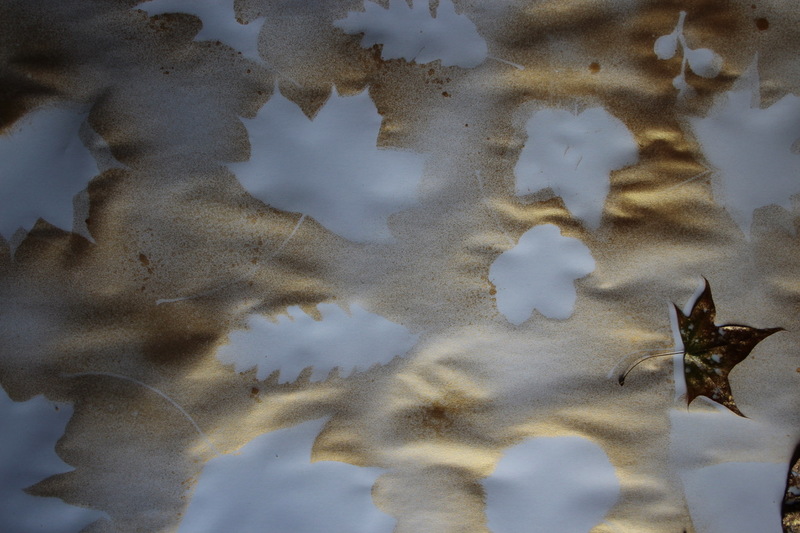 Once the leaves were flat and dry (very important!) We placed them carefully on a our roll of paper. 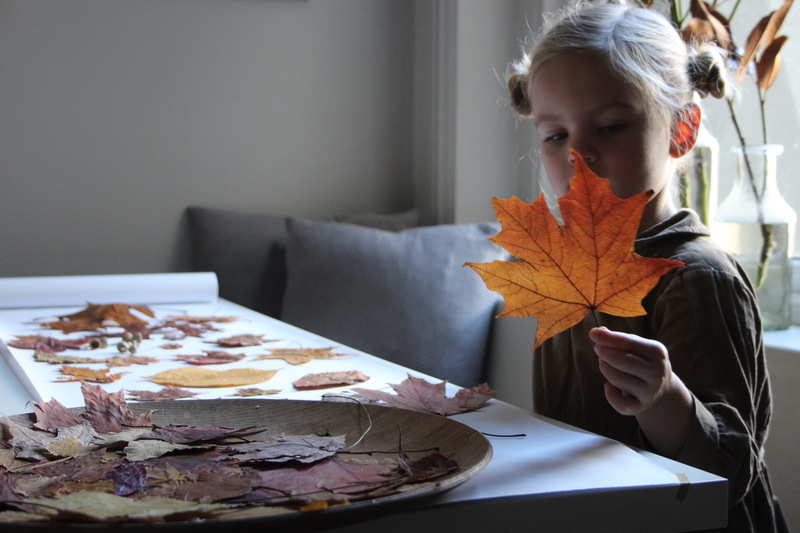 We knew we wanted to reuse the paper, so made sure the leaves didn’t touch. Then I sprayed the paint, in a soft misting spray, but without any children around and well ventilated! Even thou it was water based, I’m always careful with mixing strong smells and children. 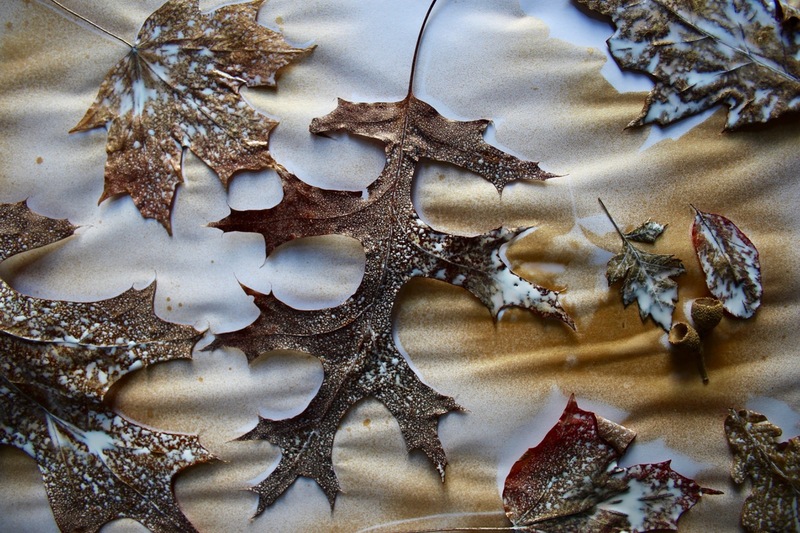 When the leaves dry, remove them to reveal a beautiful patterned wrapping paper. We used our paper for a few special Christmas gifts months later! And then to finish making the garland, we twisted the wire around the leaves and the brass and copper olives! Sometimes the stems snap on the leaves, so patience (as I mentioned) is a virtue. We added in a few non-gilded leaves too to give it a bit of dimension. We initially thought this would be a great Thanksgiving decoration, but looking at it again it would really be great for an alternative to the black, creepy, and often fake looking Halloween decorations as well! The garland is stunning, we only wish we had taken better photos for you! 🙂 When the early evening sun sets and the light bounces off of the gilded leave, it looks magical. We kept our garland hanging up until we installed our Christmas Decor. But, however, and whenever you use use your garland, I hope it brings a bit of shimmer and elegance to your interior! ps Another leaf craft we love are these very very cool masks! So clever! 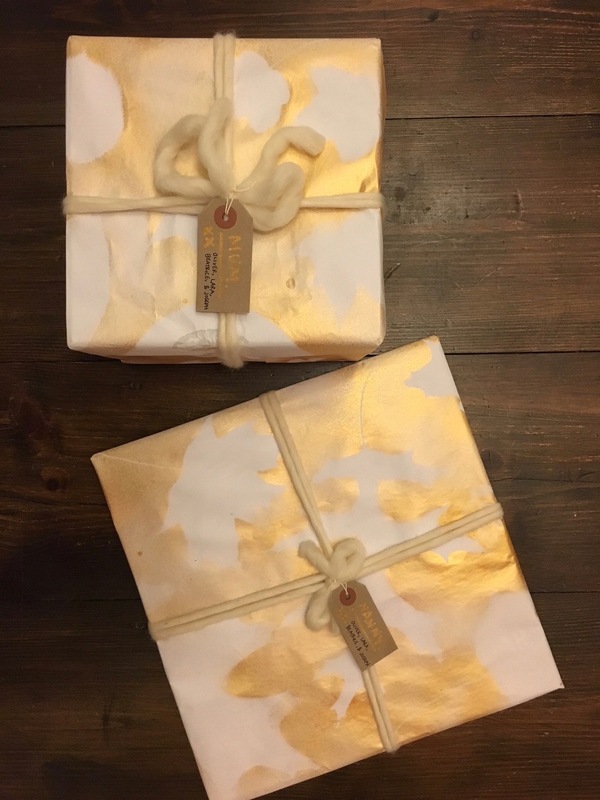 I love the golden leafs and the wrapping paper is beautiful!